View More In Broom Parts & Accessories. lt;stronggt;MLL44030535lt;/stronggt;lt;BR/gt;Guardian Pro Top Anti-Fatigue Matlt;BR/gt;Help reduce fatigue from prolonged standing and increase worker productivity. Durable and economical solution features puncture-resistant top and 1/2amp;quot; overall thickness. Beveled edges helps reduce the risk of slips, trips, and falls. Easy to maintainjust wipe clean. Perfect for airports, banks, hotels, assembly lines, and industrial areas. 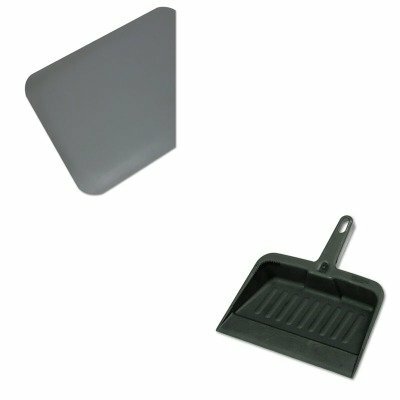 Mat Type: Anti-Fatigue Mat Application: Indoor Materials: Closed Cell PVC Style: Rectangular.lt;BR/gt;lt;BR/gt;lt;stronggt;RCP2005CHAlt;/stronggt;lt;BR/gt;Guardian Pro Top Anti-Fatigue Matlt;BR/gt;Handy dustpan features a tapered front edge to help simplify sweeping-up. Heavy-duty, moderately flexible plastic provides commercial-grade durability. Lanyard handle-hole allows you to hang and store the pan out of the way. Material(s): Polypropylene; Width: 8 1/4quot;. ~ Includes one dustpan. If you have any questions about this product by Guardian, contact us by completing and submitting the form below. If you are looking for a specif part number, please include it with your message.